Visit Tromsø, the capital of the Arctic, surrounded by mountains, fjords and islands. Hunt for the magical Northern Lights, experience the Sami culture and explore the Nordic wilderness during a traditional husky sledding. Situated at nearly 70° north, there are frequent sightings of the aurora borealis among the surrounding islands, fjords and mountains. In the summer, instead of hunting for the Northern Lights, seek the midnight sun. Ask us about the trips we can offer. When you arrive into Tromsø, you’ll be met by your driver who will take you to your hotel. 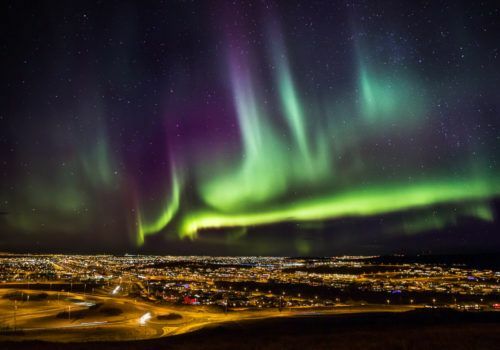 Explore the local area and hopefully catch your first glimpse of the Northern Lights. After breakfast at hotel, you’ll have a great day out as you get to say hello to a bunch of barking huskies that are ready for action. The dog sledding winter adventure starts with learning how to drive in a dog sled team. Then you drive the dog sled into the white, winter landscapes, through the beautiful valley of Vass. The trails you follow have a total distance of approximately 15 km. The area is totally uninhabited, and the speed of the dogs will impress you. You will drive in pairs, one driver and one passenger on each sled, with opportunity to switch places half way. You will receive a traditional hot meal during the excursion. The tours include transportation by minibus, hot meal, outdoor winter clothing, English speaking guide.